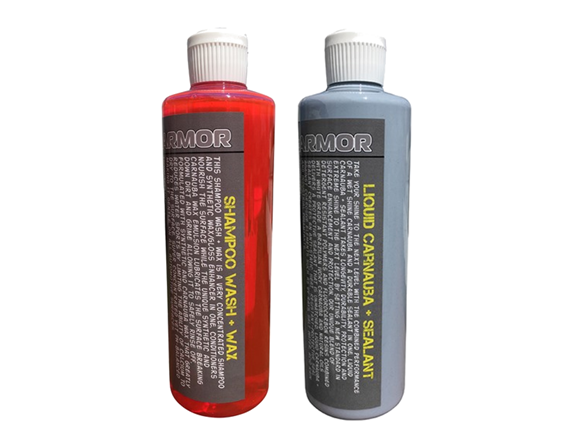 Choose your ideal combos to to cover all your family's car care needs with the Element Armor suite of products made in the USA. The Game Changer will forever change the way you wax your vehicle! Hands down, there is no easier or faster way to protect your vehicle. Simply mist the product on a wet surface, then rinse with water to activate the instant bonding process of this revolutionary synthetic wax. Watch as it immediately cures to the surface... producing a ton of beautiful water beads. No wiping or buffing required! Each application protects for at least 3 months... if it's still beading, it's still protecting. WAX YOUR VEHICLE WITH NO WIPING! Mr. Miyagi would be devastated. Waterless Wash & Wax is a water-based product that contains premium soaps, surfactants and lubricating agents, plus a special polymer polish formula. Waterless Wash & Wax can be used on all solid, smooth surfaces. It will wash, wax, polish and protect everything on the car except the tires, carpet and upholstery. Waterless Wash & Wax is very light and easy-to-use. Once sprayed on the surface, the product gets to work by breaking down and lifting the dirt. The lubricating agents then allow for you to safely remove the dirt from the surface, using a quality microfiber towel, without leaving any imperfections. 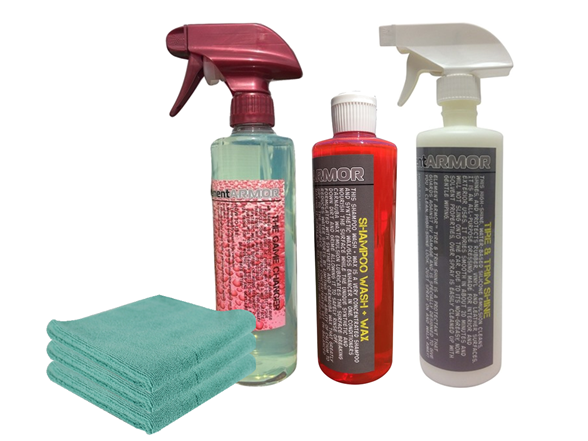 Simply spray, wipe, and buff to clean and protect your vehicle without wasting a drop of water. 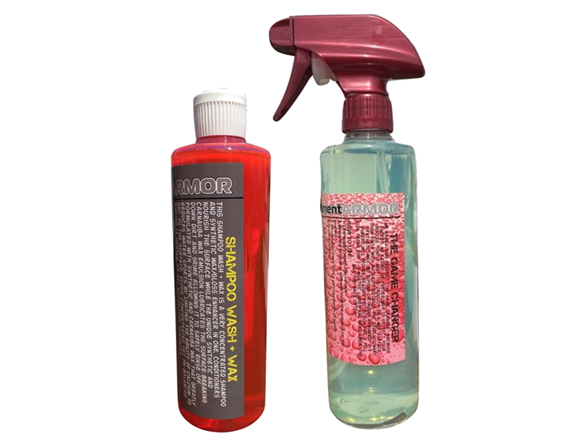 Leather Cleaner + Conditioner leaves leather surfaces smooth, soft, shiny and protected, while preserving the unique, fresh natural smell, beauty, feel and shine of fine leather forever. 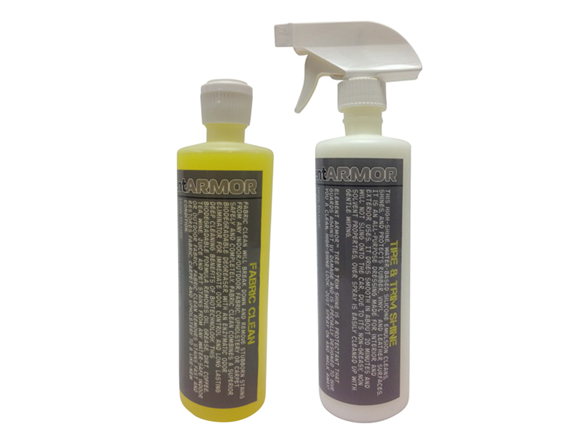 Formulated with stain repellents, and waterproofing agents that aid in the protection. The ease of use, unbeatable protection, durability, dryness to the touch, pleasant leather scent and natural supple feel is unmatched.